The ongoing process of strengthening the UN Treaty Body system provides a welcome opportunity to reflect on some of our hidden assumptions. The Treaty Bodies have over time gravitated towards Geneva, and it now appears to be the assumption that this is simply the way things should be done. Notwithstanding, we want to argue that reform of the human rights Treaty Body system should include efforts to ‘bring the Treaty Body system closer to the people on the ground.’ More specifically, Treaty Bodies should not solely meet in Geneva, but should also convene regional meetings away from their home base at Palais Wilson. The strength of the global human rights system lies in its universal foundation. The same human rights norms apply in equal measure to everyone in the world. But there is more to universality. It also requires, that everyone subject to the system, must also have an equal voice in determining what its norms are, and how these should be applied. No one part of the world has the right to dictate to any other part – we, as human beings, should globally and collectively set standards for ourselves, if human rights are to be truly universal. Without universality in this full sense of the word, human rights are an imposition with little chance of survival in the long run. Numerous fault lines are evident in the international human rights system – Global North vs Global South, religious divisiveness, and many more. Philosophers muse about the ‘twilight of human rights.’ One of the major dividing lines in the world today is between States, societies, and individuals, who are committed to a global ethos on the one hand, and those who focus on the local level – largely to the exclusion of the international – on the other. Institutions, such as the International Criminal Court, and even the European Court of Human Rights, are in the throws of centrifugal forces. Amidst these forces pulling in all directions, there is an urgent need to consider ways to ensure a stronger sense of ownership to keep the international human rights system together. An all-too-common refrain in the context of non-compliance with Treaty Body decisions and recommendations is that ‘Geneva is far away, this is where we live.’ We argue that there should be a sense of proximity, not only inasmuch as human rights represent peoples’ lived values, but also spatially, in that the system should at least to some extent be experienced as ‘closer to home.’ As such, the UN Treaty Bodies should ideally engage in dialogue with people on the local level on the ground, not merely with the few government officials and well-endowed NGOs, who are able to attend sessions in Geneva. It is worth considering the consequences of the fact that all Treaty Body meetings – some 34 sessions in 2017 – will take place in Geneva. The authoritative word on numerous human rights issues thus emanates from this city, in the heart of Europe. Add to this, the fact that the UPR and the Human Rights Council also operate solely in Geneva – with the role of New York in the background – it becomes easy to understand why there might at least be a perception that the system will be skewed towards perspectives dominant in the Global North. 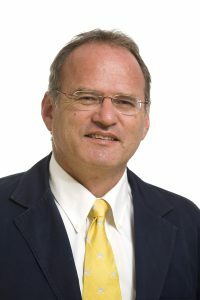 The fact that all the experts and other decision-makers live in Geneva while performing their functions as members of the various Treaty Bodies, and thus see the world through that specific lens, is bound to have a long-term impact on the approaches followed and on the institutional culture of what is supposed to be a system that embraces the globe. This imbalance is reinforced in countless, often invisible ways. For example, European States who report to the system have a ‘home ground’ advantage. Their top officials and lawyers can simply take the morning train to the Cornavin train station in Geneva and convey their message to the experts in Palais Wilson, all in a day’s work. It is a very different picture, in terms of resources, logistics, and psychology for delegations from, say, Jamaica or Swaziland, for whom the Palais des Nations is far away and completely foreign territory. Our proposal is not that Geneva be abandoned as the principal meeting place of the Treaty Body system. There are countless advantages to having it based there (in addition to the fact that it is a very pleasant city). However, it does not require an overthrow of the current system for some Treaty Body meetings to take place outside of Geneva. On the contrary, we argue, it will enrich and strengthen the system as a whole, including its functions in Geneva. For example, the Human Rights Committee meets three times per year. It is worth thinking through the consequences and advantages of meeting once a year in a different region, such as in Addis Ababa, Bangkok, or San José, Costa Rica. Regional meetings would provide UN Treaty Body members the opportunity to approach their work – at least to some extent – from more inclusive and representative vantage points. This might well bring a better understanding of local conditions to their work. Regional meetings would also give Treaty Bodies unprecedented visibility and exposure in those regions. Even people who live in the region who may not be in a position to engage with Treaty Body members in person, would through their local media, be able to see that the system has come closer to home. This could lay the groundwork for truly constructive dialogue. In this regard, the UN Treaty Body system can glean encouragement from the experiences of the African – and now also the Inter-American – system. In the case of the African system, the Commission has since its inception met biannually, usually once at its seat in Banjul, Gambia, and once on invitation in another African capital. This has greatly increased the visibility of the Commission. Moreover, by and large, the roving meetings have resulted in the States, in which these meeting were held, submitting reports where they had not previously. The Inter-American Court, and to some extent the Commission, have also started to experiment with meeting outside their home base, apparently with great success. There will of course be cost and logistical implications. Members of the Secretariat will have to travel. There will be some inconvenience. However, it is easy to over-estimate these potential complications. Advances in technology have made, and in the future will increasingly make, such regional meetings both easier and more cost-effective. In a world less reliant on paper, everyone is more mobile. Translation facilities are increasingly available. Given the ease of online access, the disruption to the experts and others will be much less than would have been the case in the past. It is our contention that, if one accepts that the ultimate success or failure of the international human rights system will depend on its impact on human rights practices on the ground – and that bringing the Treaty Body system closer to the people will ensure greater local legitimacy and responsiveness – the potential benefits of a roving Treaty Body system would outweigh the objections. It should be noted that proposals for such a roving Treaty Body system are not new, and indeed, there has been recognition at the Treaty Body-level of the benefits that such regional meetings might bring about. For example, in June 2012, the Chairs of the UN Treaty Bodies met in Addis Ababa, although these annual meetings are usually held in Geneva. How to implement such a roving Treaty Body system is of course a difficult question, especially given the large number of potential moving parts. For example, if a version of a ‘Master Calendar’ is implemented, and States are required to report to various Treaty Bodies in succession during their reporting cycle, what would the implications of a roving system be? Moreover, should only State reporting be done on a rotating basis, or also other Treaty Body functions? Should all the Treaty Bodies have some meetings outside Geneva? Some may argue that the specialised Treaty Bodies should continue to meet exclusively in Geneva, while the Human Rights Committee and the Committee on Economic, Social and Cultural Rights, given their broad mandates should roam the earth. Or should it be the reverse, with the more specialised bodies occasionally leaving Geneva? Or should all of them rotate? These are complex issues, to which we do not claim to have the answers. For the time being, our proposal is limited to arguing that there are good reasons to, in the ongoing discussions about Treaty Body strengthening, take on board the idea that not all Treaty Body meetings should take place in Geneva all the time. See Heyns & Viljoen, The Impact of the United Nations Human Rights Treaties on the Domestic Level (2001). 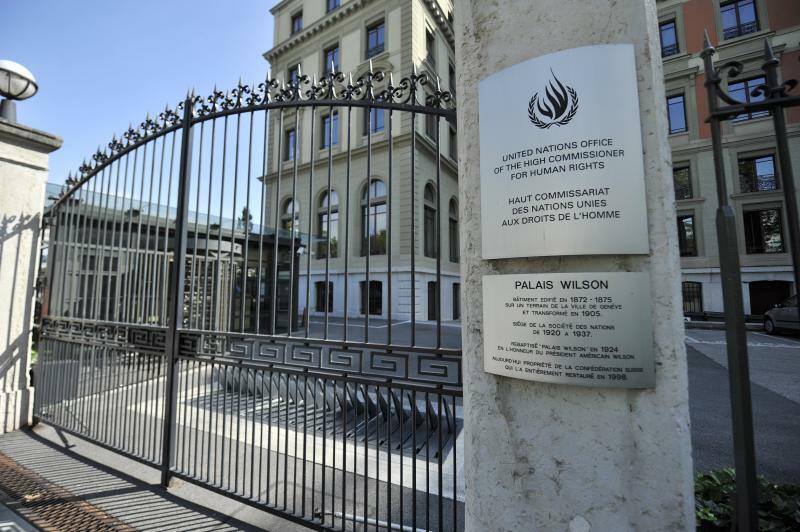 Feature photo: Palais Wilson, Office of the United Nations High Commissioner for Human Rights in Geneva, UN Photo/Jean-Marc Ferre, licensed under CC BY-NC-ND 2.0.